Purchase this product and earn 100 RC Points! This is the EV-Peak D610AC Dual Port Charger. 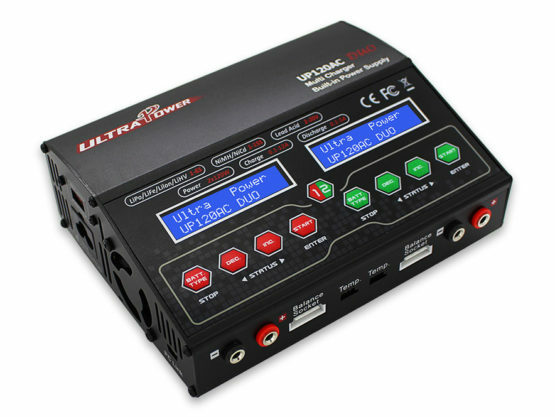 It’s been recently updated with a host of new features as well as a higher amperage rating of 10Amps! 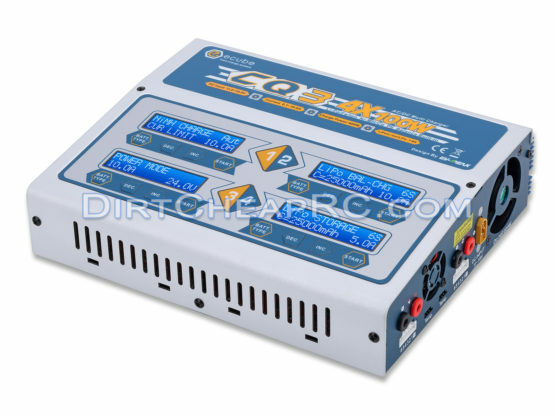 The charger has a selectable voltage switch so it can be used worldwide, up to 240V. The switch will come preset to the 110V-120V setting for ease of set up and use in the USA and Canada. If you are located in another country, simply set to the appropriate voltage setting before plugging it in. 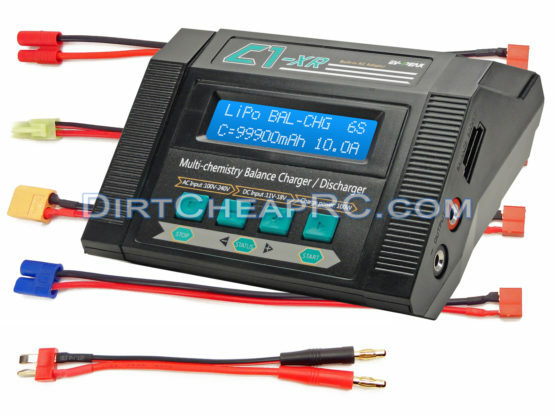 The Charger also features Lithium Balance Charge, Lithium Storage, and Lithium Discharge modes. 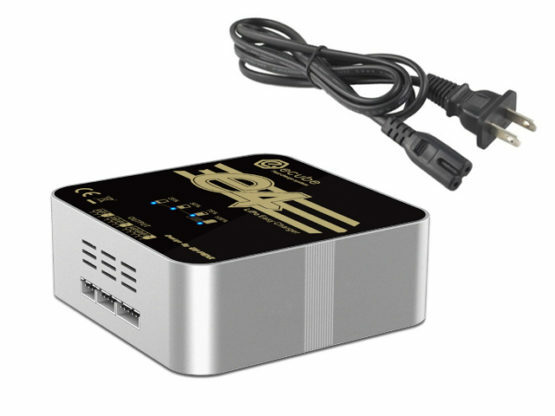 * Charger has 10A/100W limit (each port), whichever is reached first. 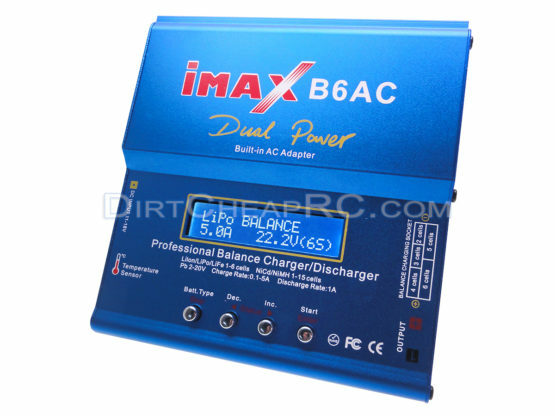 Charger will auto-adjust the amperage if the max wattage is reached. 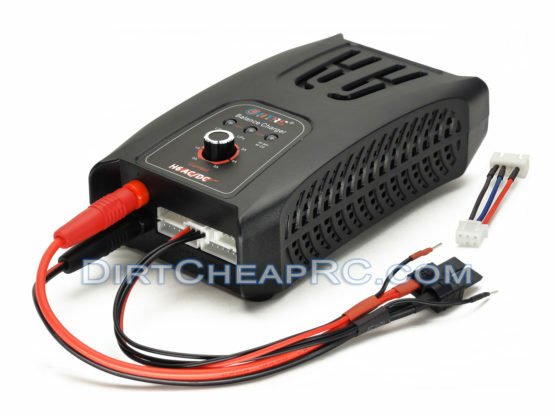 For example, charging a 4S LiPo: 100Watts / 14.8Volts = approx. 6.7Amp max charge rate. This is a good deal, a great product, and I received fast shipping. Thank you! The delivery was fast and the product arrived in perfect condition. The unit is very professionally built and robust looking from the outside. I am happy. Note that this unit doesn’t have a memory function for your favorite batteries setting as some other units have, at least not that I can find. It doesn’t advertise it, so this is not a mark against it. I just want others to realize this. This is a very good charger, but got to figure out how to charge a 1 cell battery. Hi Russell. You are probably experiencing difficulty choosing 1S / 1 Cell due to the fact that you are in LiPo Balance Mode. 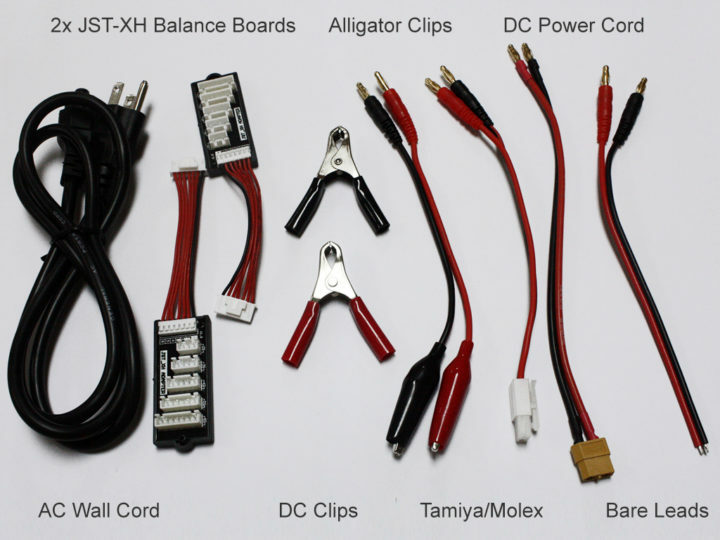 It is impossible to Balance a 1S LiPo 🙂 So simply switch to LiPo Charge Mode and you will have no problem choosing the 1S setting. This is a great charger. 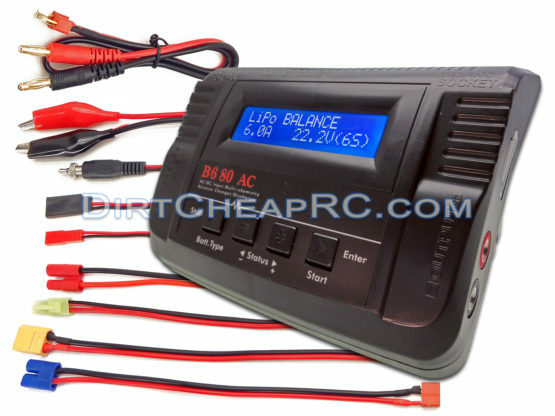 I highly recommend it if you need to charge 2 LiPos at the same time. It never gets warm and there is no thermal shutdown like on my other dual charger. There are a lot of features on the charger. I like the storage charge mode. It comes in handy when you know you’re not using a LiPo for a longer time. 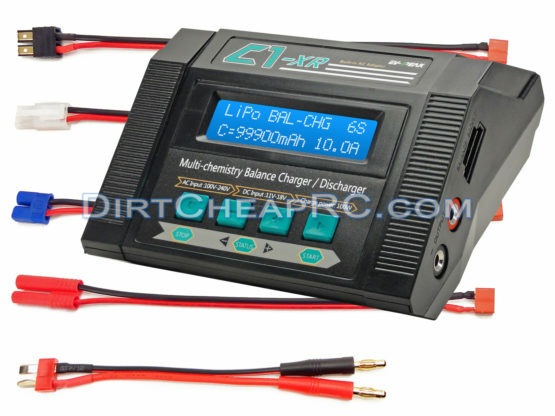 The balance charge mode saved a few older LiPos that with other chargers would never balance out. 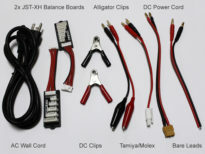 That itself has paid for the charger by saving me a few new LiPo purchases. 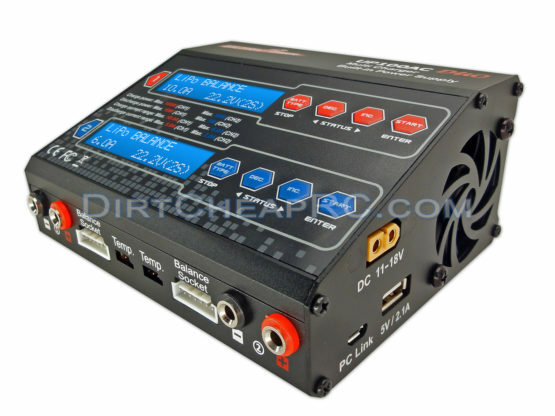 It charges up to 6s LiPos without issues. If you’re in the market for a great charger at a good price look no further. So far so good! I only charged one 4s 3200 mah battery, but it works perfectly. I doubt one would find a dual multi-type charger for less. This was a painless experience! Thank you Dirt Cheap RC. This charger is great! These arrived very quickly and I am very happy with the product. It was a much needed upgrade. Thank you for your service. My unit is working well and easily charges two batteries at once. The button switches have stopped working or are very difficult to use. This unit looks identical to the Pro Tek Prodigy, and they are also having problems with the switches. Hi Russell. This is your second review. Again, for the buttons on the charger, if they are not working properly, please send the charger to us for repair/replacement under warranty as we have instructed you to do in our email conversations. This service is free to you and we will even pay for the shipping charge back to you! This charger has a lot of power for the price. I am having problems with the buttons working. For some reason it is very slow. Hi Russell. Thank you for your feedback. As per our conversations over email, the reason the charger is ‘slow’ for you is because your charge settings are incorrect. 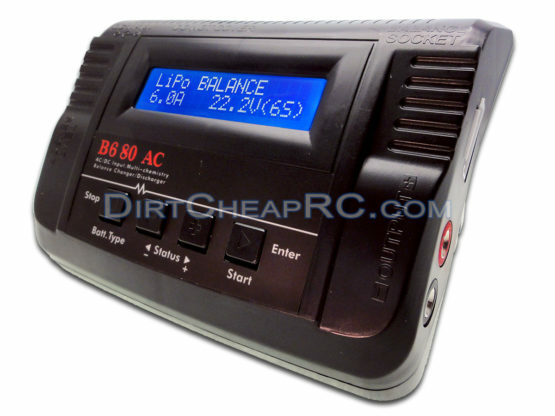 The amperage determines how quickly your battery will charge. As you stated, you were charging at 0.1A which is the slowest and lowest setting possible. The amperage can be adjusted from 0.1A to 8.0A. 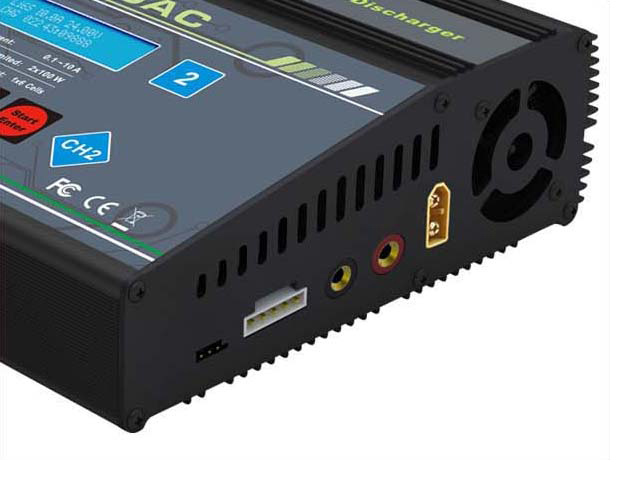 After we instructed you to increase your charge amperage, the charger ‘magically’ started working as advertised and charged your batteries in a timely manner as expected. As for the buttons on the charger, if they are not working properly, please send the charger to us for repair/replacement under warranty as we have instructed you to do in our email conversations. This service is free to you and we will even pay for the shipping charge back to you! They are a super seller with fast shipping. This is an awesome charger. I give a five star recommendation and I will be back! I really enjoy this charger. It’s easy to use and understand. The price is on point. I feel confident every time I use it. So far, I’m really happy with this charger. It doesn’t have memory but it stays programmed to your last battery. When you need to change a setting, it is very simple. Charging amperage defaults to 10% which I usually use, but when in a hurry I crank it up for a faster charge. This product is easy to operate and has a compact convenient AC/DC charger, which is capable of charging all types of capacities and voltages of batteries. It is capable of charging and monitoring two different types of capacities and voltages of batteries simultaneously. It comes with two balancing boards and some charging leads but not for all popular battery connection types. 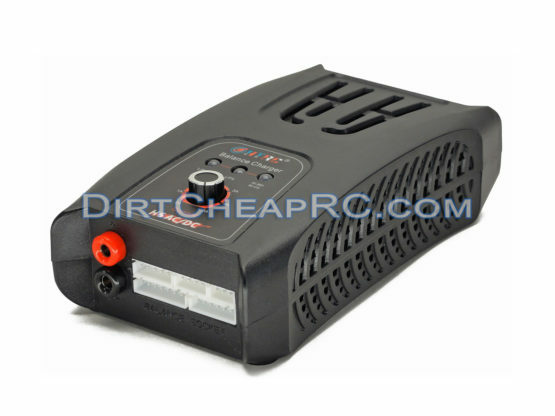 The parts you require for your batteries are available online and easy to fabricate. I wish Vista Power had fabricated the charger with the popular universal three prong vertical plug AC power cord instead of the less used round three prong plug power cord. 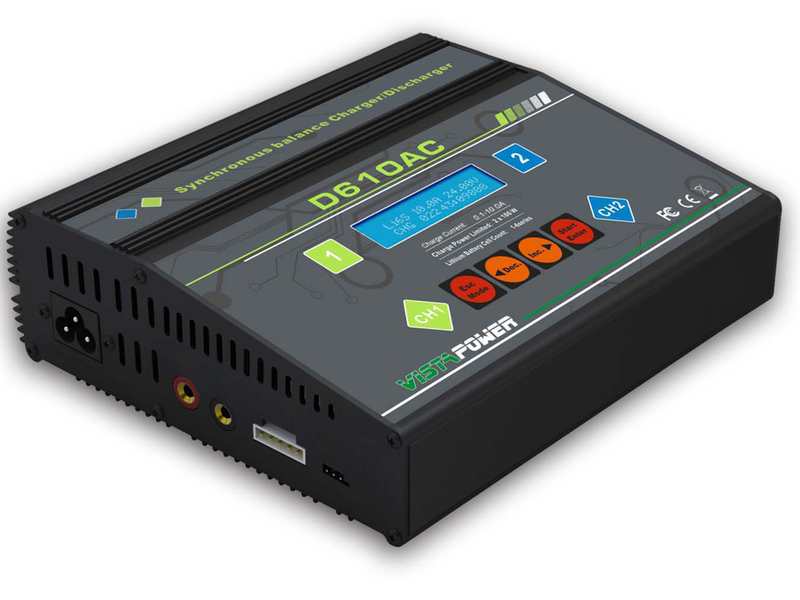 If you are in the market for an easy to operate AC/DC dual charger the D610AC should be seriously considered. Wow! What a nifty charger. It has a small footprint with high power output! I love it! I received very fast shipping. This thing is FAST! I just used the Quick Start Guide included with the charger and I was up and charging in minutes! It is FAST FAST FAST. Thank you Dirt Cheap RC! This is a nice charger. It works great. It took four days to receive, which is not bad at all. This is a good deal, a great product, and was quickly shipped. Thank you! This is a great, easy to use charger for an even better price.